Some folks in Dallas have been decking their halls since Halloween. Now it's time to flip the switch on their festive yuletide decor. There's nothing more fun than loading the family into the car, sipping hot cocoa, and driving through neighborhoods to see Christmas lights. 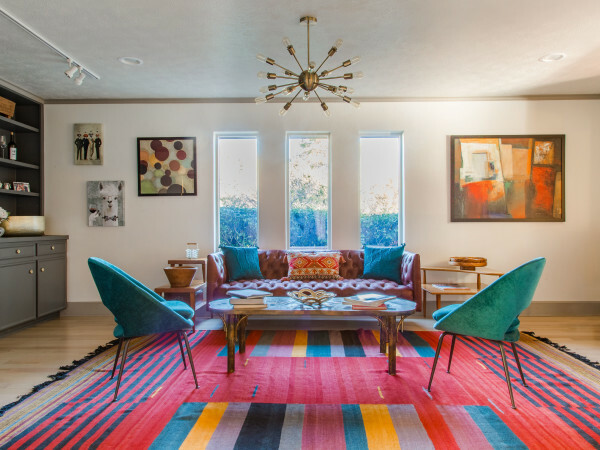 Here are some of the biggest, best, and brightest commercial and neighborhood displays around Dallas in 2018. Looking for lights in the Fort Worth area? Check out our list here. Enchant returns for a second year to illuminate North Texas skies with its World’s Largest Christmas Light Maze & Market. 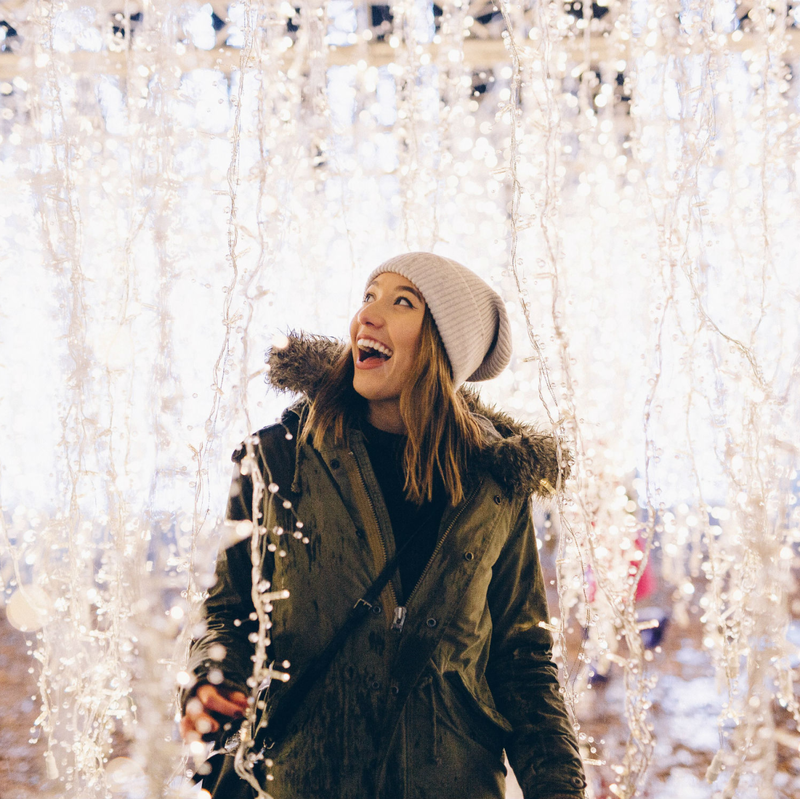 This year, the family tradition has moved inside Arlington’s Globe Life Park, with a new heart-warming theme, an updated adventure in the light maze including a magical ice skating trail, and a larger, dazzling Artisans’ Market. New for 2018, the luxury suites of Globe Life Park can be reserved for private, VIP and group experiences. The event will go on through December 30. 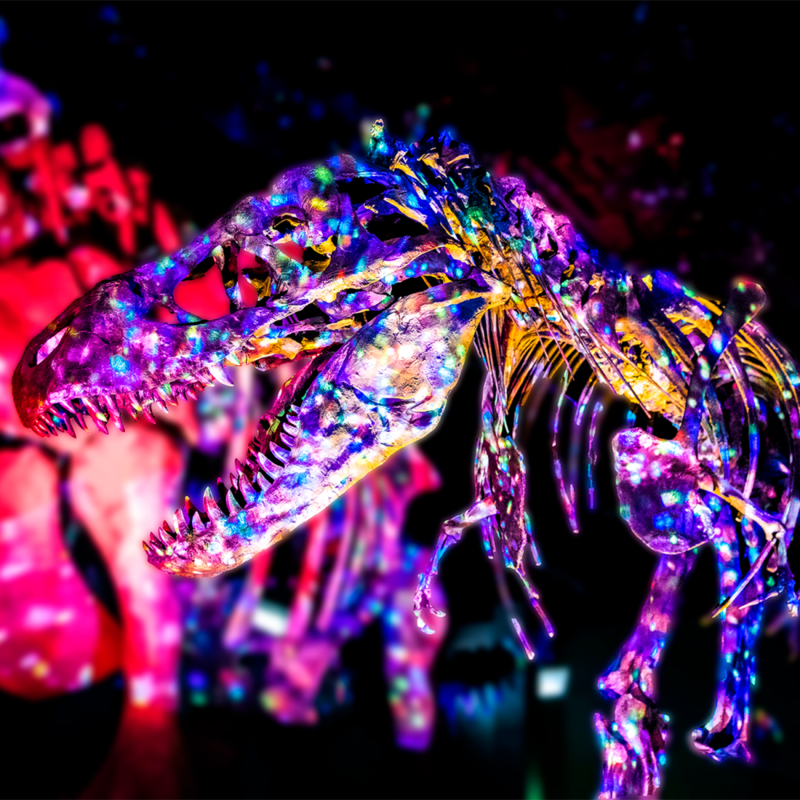 The Perot Museum of Nature and Science puts a sci-fun spin on the usual holiday lights with a luminous lineup throughout the season. 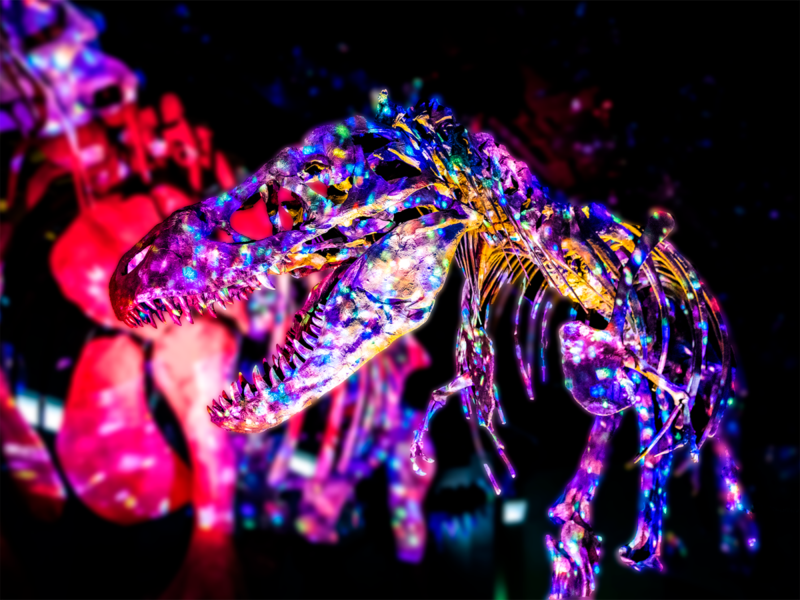 Until January 6, the museum’s most popular dinosaurs are lit up in bright lights. There's also a new light, video, and sound presentation called “The Velocity of Light – A Kaleidoscopic Journey,” a multisensory work of light and color projected on the wall of the Lyda Hill Gems and Minerals Hall. Check the museum's website for special programming and admission deals. Go to Grapevine for the blockbuster Lone Star Christmas at the Gaylord Texan Resort, but stay for all the other festive events and displays around town. The popular Lightshow Spectacular in Whoville is a synchronized light and sound display at the Grapevine Christmas Tree. It's located next to the Town Square Gazebo along Main Street in historic downtown Grapevine, at the corner of Main and Dallas streets. This free, fun-for-all-ages lights show is about 20 minutes long and runs continuously from 6-11 pm nightly through January 6. Prairie Lights is a two-mile, drive-through holiday park experience, situated along the shores of Joe Pool Lake in Grand Prairie, that boasts a stunning display of more than 4 million lights and other holiday attractions. 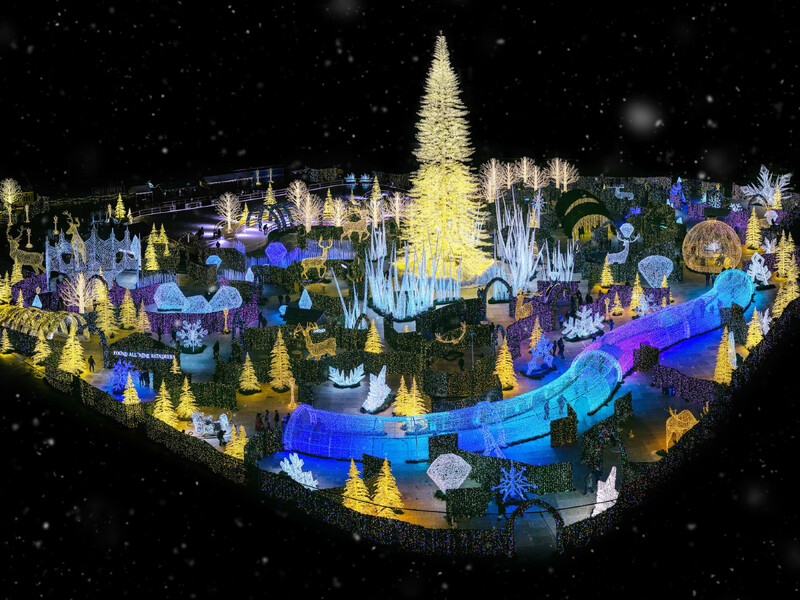 This year’s event, which runs through December 30, showcases all-new displays that line and arch over the roads, all leading to the park’s famous grand-finale animated tunnel at the exit. Featured events and attractions include the Holiday Magic Lighted Walk-Thru Forest, Holiday Dreams animated light show, and Holiday Village. Hint: Cut down on wait time with a fast-pass, available on the website. The City of Garland Parks, Recreation, and Cultural Arts Department presents Christmas on the Square to celebrate Christmas with more than 100,000 lights and other fun festivities. Walk or drive through the Downtown Garland Square for the animated display as you tune into holiday music on the radio. Santa stops by to join in the merriment and take photos on December 8 and 15. It's all free and open 7-9 pm daily through December 31. Frisco's Christmas in the Square features the largest choreographed holiday lights and music show in North Texas. Now in its 14th year, the event includes a show with over 175,000 lights set to music; visitors may tune in on the radio in their cars, or listen to the music piped through speakers as they take a walk through the square. 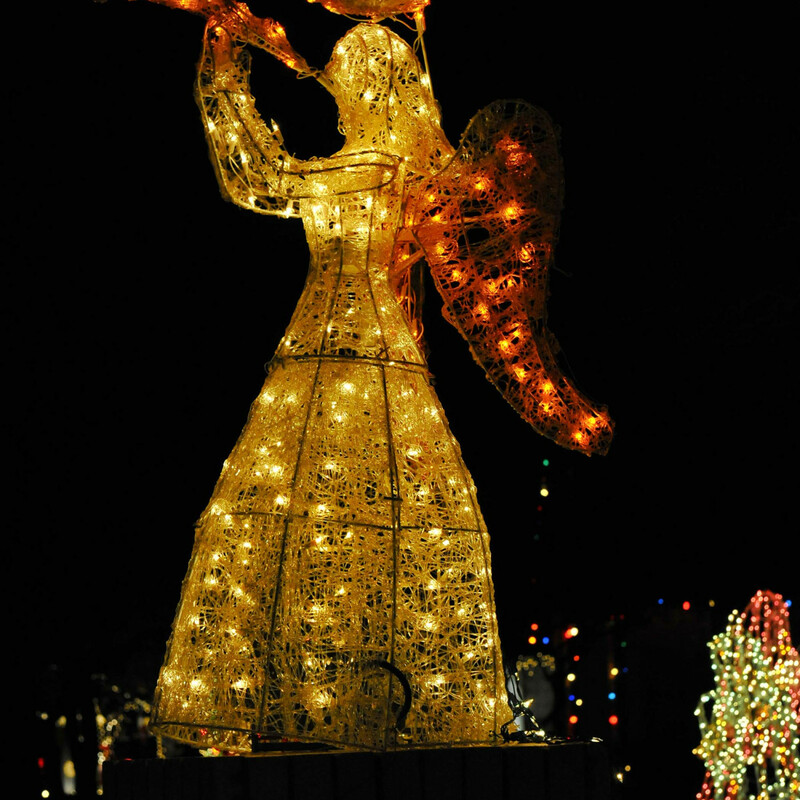 The presentation runs 6-10 nightly until December 31. While you're there, you can go ice skating in the rink on site. On select nights through January 1, the Dallas Zoo's ZooNorth area lights up with more than 1 million twinkling lights. Throughout the zoo, there are silk-covered lanterns in the shape of animals and nightly festivities. Check the zoo's website for admission deals, special adults-only nights, and other programming. There’s always something new to discover at Daystar Christmas, the annual holiday lights display at Daystar Television Network in Bedford. With a life-sized nativity, over 1 million Christmas lights, a kid-friendly Christmas town, and an interactive 8-foot “JOY” sign, this display is fun for the whole family through December 21. Check the website for a full schedule of events. 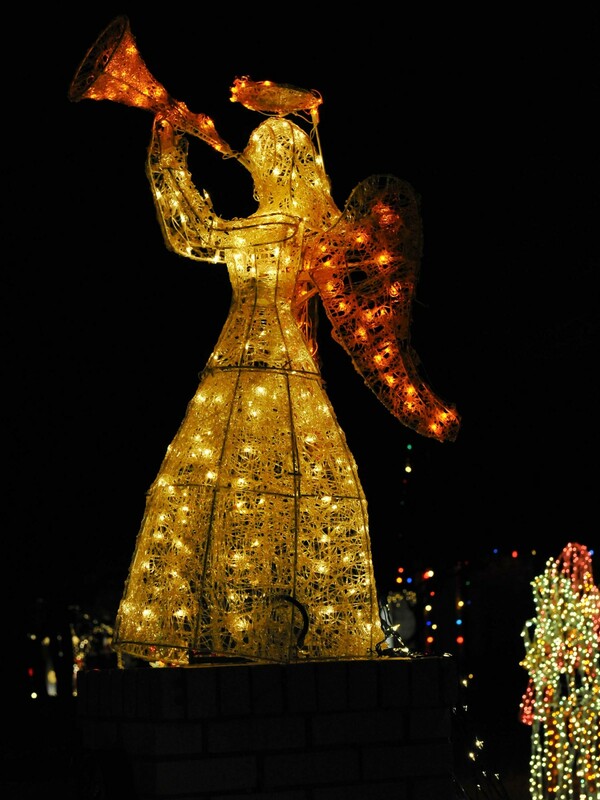 Perennial holiday favorite ​Highland Park shines with beautiful light displays, many of which are professionally installed; pick just about any street where you see houses lit top to bottom in twinkling lights, and there are bound to be a dozen more. 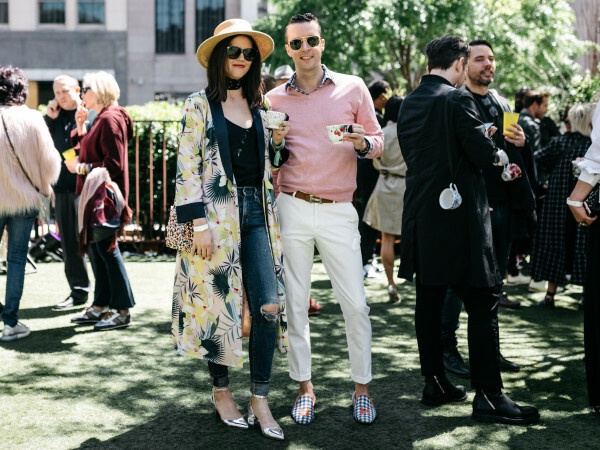 Be sure to check out Highland Park Village while you're in the area. You can take horse-drawn carriage tours through the neighborhood, for a fee. Don't miss the town's dazzling “Big Pecan Tree” on Armstrong Parkway, just west of Preston Road, decorated in thousands of twinkling lights. In Plano, the Deerfield neighborhood hosts a holiday decorating contest that yields magical results: another top-rated winter wonderland you can walk or drive through. You can even book carriage rides or Segway tours in advance. Deerfield subdivision is located between Preston Road and Coit Road. Enter from Legacy Drive, heading north on Colonnade or Archgate; check the website for maps and schedules. The free drive-through event lasts through December 31. In Lake Highlands, the 12 Days of Christmas gift visitors on Timberhollow Circle. The display has been a tradition for more than two decades. Each home is decorated as one of the days, from a partridge in a pear tree to 12 drummers drumming. Several residents have moved over the years, but they’ve passed along the decorations to the new homeowners to keep the tradition alive. The entrance is located one block south of Royal Lane off Abrams Road on Moss Haven Drive. The lights stay on nightly through the end of December. In historic Kessler Park, you'll find lots of holiday lights on homes and trees against a backdrop of the Dallas skyline. A group of volunteers plan and coordinate the holiday decorations on various traffic islands in the neighborhood. 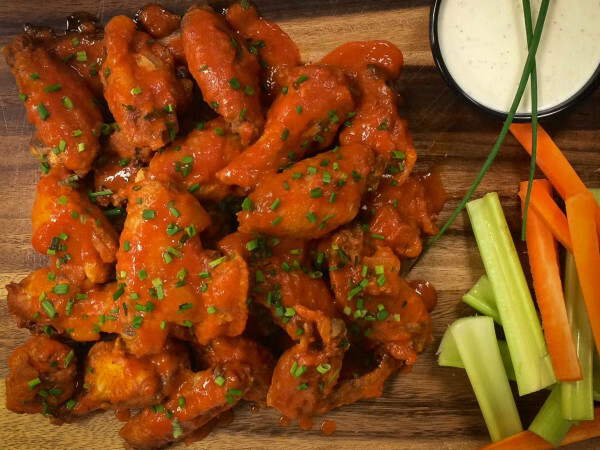 From downtown Dallas, go west on Interstate 30. Take the Sylvan exit, turn south on Sylvan, drive about a half a mile, and turn west on Colorado. You can't miss some of the most majestic oak trees in Dallas, decked from top to trunk in their holiday finest. The gorgeous historic homes on this grand Dallas avenue get new life after dark during the holidays. Two-story houses and long walkways leading to them get outlined in thousands of twinkling lights. There's no official tour (unlike the neighborhood's famous one in the spring), so just point your car down the street and drive slowly to enjoy. The district's website gives a quick preview of what to expect with the clever wish for a "Merry Swissmas."